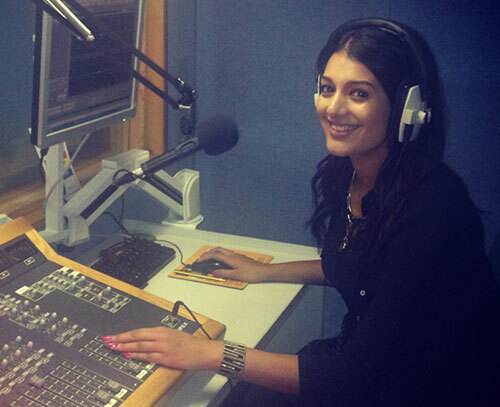 I am a reporter /newsreader at kmfm, part of the KM Group. As I work for a multimedia company, my role also involves writing web stories for KentOnline and occasionally producing and reading our TV news bulletins, otherwise known as KMTV. I graduated in BA (Hons) Journalism from City in 2012. The skills I was taught during the three-year course ensured I was prepared to enter the journalism industry confidently. My role can see me producing content for the radio, TV, online and even our local newspapers, all in one day. It is only because I was given the opportunity to learn about all of these platforms and understand what differentiates them during my degree that I can carry out my duties to a high standard. The support I received from my journalism tutors meant I was able to voice every concern and iron out any uncertainties with a quick chat or an email throughout the three years I studied at City. The level of care and consideration for every student is second to none. Since graduating, I have reported on national breaking news stories, spearheaded a campaign which has been accepted by a government minister and also been nominated for a media award by my news editor. I am proud of being a City, University of London alumni because I know just how high the standards are there. From budding media professionals to industry experts, the course offers something for everyone. There is no doubt journalism graduates will walk away with the knowledge and understanding that is expected today in the industry today - and plenty more.